Keep your beard looking healthy and maintained with beard balm. Beard balm helps tame your beard giving it a finished look. Our balms are smooth not gritty, and offer the right amount of oils to ensure your beard doesn't look greasy. 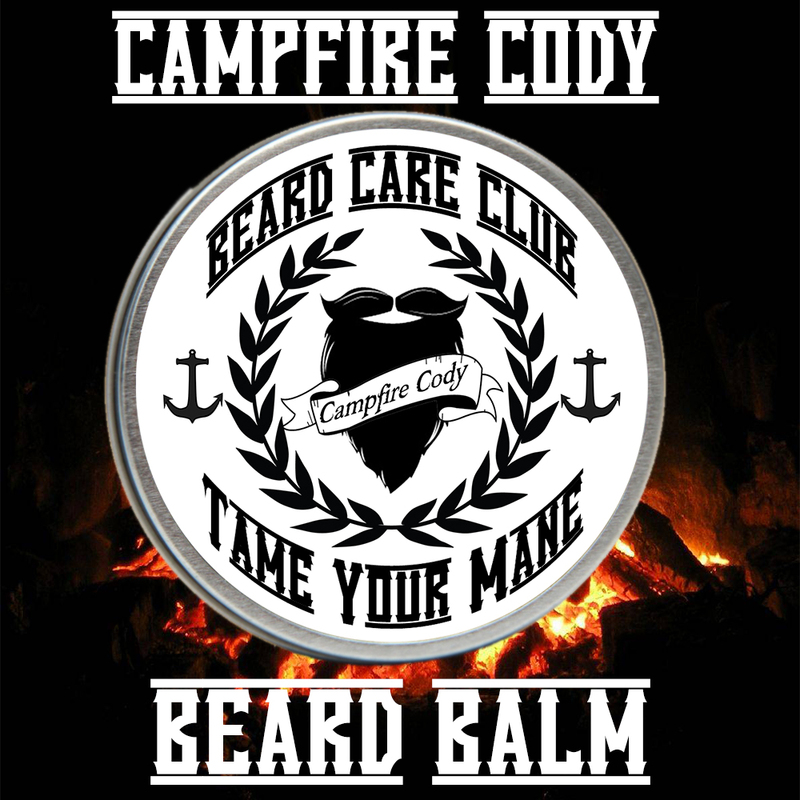 Our Campfire Cody Beard Balm contains high quality oils, butters, and bees wax to seal in the moisture while giving your beard the hold you desire. Campfire Cody is perfect for those colder months where sitting around a fire, roasting s'mores and drinking whiskey straight out of the bottle (only if you're 21 or over, of course) sounds like the best way to end your evening. This is a woodsy scent with a hint of molasses, which will make you dream of warm summer nights and the great outdoors. This is the ideal scent for any man who loves being outside in nature.